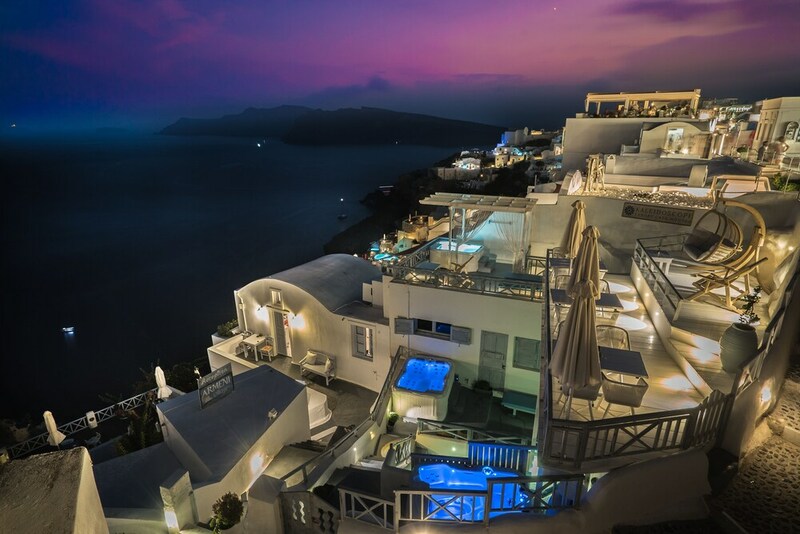 With a stay at Kaleidoscope Cave Houses Oia in Santorini, you'll be a 3-minute walk from Santorini Caldera and 5 minutes by foot from Oia Castle. This apartment is 11.8 mi (19.1 km) from Kamari Beach and 14.1 mi (22.8 km) from Ancient Thira. Make yourself at home in one of the 3 air-conditioned rooms featuring private spa tubs and flat-screen televisions. Rooms have private furnished balconies or patios. Computers, complimentary wireless Internet access, and satellite programming provide entertainment. Conveniences include safes and refrigerators, and housekeeping is provided daily. Featured amenities include luggage storage and a safe deposit box at the front desk. A roundtrip airport shuttle is provided for a surcharge during limited hours.